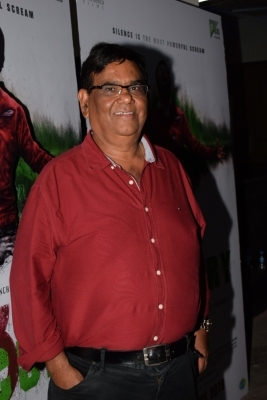 Mumbai April 16 (IANS) Satish Kaushik who began his journey as a film director with "Roop Ki Rani Choron Ka Raja" 25 years ago has apologised to producer Boney Kapoor for delivering a box office failure that left him broke. "25 years ago it was a disaster at the box office but it was my first child and will remain close to heart. Remembering madam Sridevi and my sorry to Boney Kapoor who gave me a break but was broke after the film " Kaushik tweeted on Monday. He also shared the film s poster featuring Anil Kapoor Sridevi Jackie Shroff and Anupam Kher. The movie was made at a high budget back then but failed to get the expected response despite its cast. Kaushik s Twitter post generated mixed responses with some social media users agreeing with him about how the movie fared while some lauding it for its technical values. However Kaushik took it all in his stride. "It is not about good or bad after 25 years. It is about owning your failures with your head high in the air. You must be a very successful person but try owning your failures and I assure you you will be more successful " he added.